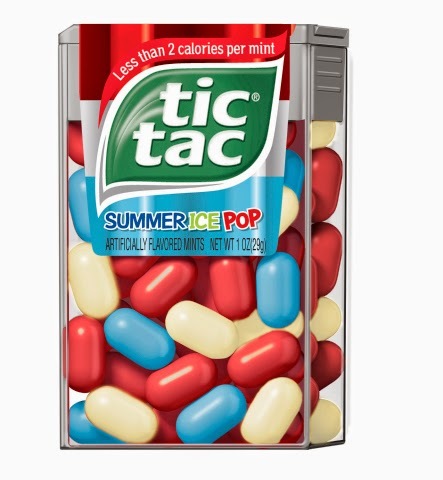 "Today Tic Tac® mints, known for its iconic shape and unique packaging, is shaking things up with the launch of limited edition Summer Ice Pop Tic Tac® mints, the coolest flavor to heat up summer. These artificially flavored mints feature a delicious combination of blue Berry pills, red Cherry pills and white Lime pills. 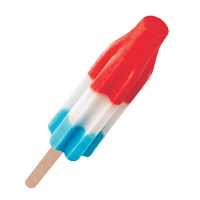 They offer a nostalgic nod to summertime memories and a patriotic treat for the season’s pool parties, barbecues and other gatherings this year." You can't help but get excited for summer, which is right around the corner. Here in New England, while the weather is unpredictable, we have been able to enjoy a few 70+ degree days. And, this evening after my husband got home from work, he put the sprinkler on for the girls, who had a blast running around getting wet. It didn't phase them that the water was cold...gotta love being a kid. 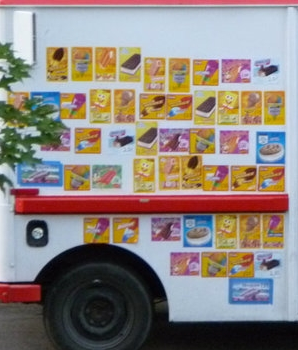 :-) When the weather gets warm like this, it is also the welcoming of the ice cream trucks visiting the kids in the neighborhood and stopping by the baseball fields, to cool down the kids (and adults) with frozen treats. 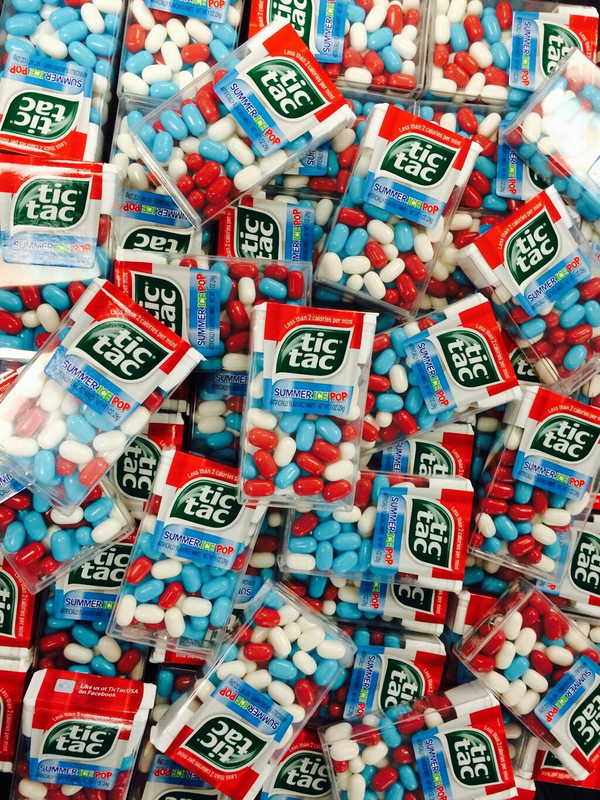 In celebration of the latest flavor, the brand will surprise and delight fans and followers on the Tic Tac USA Facebook Fan Page and Twitter (@TicTacUSA) with free samples, giving them an opportunity to taste the limited edition flavor. The Tic Tac® brand will also hit the streets of a few major cities this summer to share samples of the new flavor in a unique way. The Tic Tac® brand is challenging its most loyal fans to be the first to find the new flavor in their hometowns. Those who spot it first are encouraged to share the wealth by revealing the location using the hashtag #SummerIcePop on social media properties. To learn more about the Summer Ice Pop Tic Tac® mints or upcoming events, “Like” Tic Tac USA on Facebook (www.Facebook.com/TicTacUSA) and follow Tic Tac USA on Twitter (www.Twitter.com/TicTacUSA). And, if you are picking up the new Summer Ice Pop Tic Tac® mints, why not look for the new Strawberry Fields mints, too? I found them the other day at Rite Aid and can't get enough of them. The Tic Tac® brand was launched in the U.S. in 1969 by the Italian confection manufacturer Ferrero and has been a leading mint brand for over 40 years. Tic Tac® is sold worldwide. The Ferrero Company was established in 1946 in Alba, Italy. The company’s first product was made with hazelnuts and cocoa, resulting in the base ingredients for the world’s #1 selling sweet spread on the market today – Nutella® hazelnut spread. Since then the company has grown to become one of the world’s largest confectionery companies with a vast global portfolio that includes high-quality products such as Ferrero Rocher® chocolates, Raffaello® confections and Tic Tac® mints. Ferrero products are distributed globally throughout Europe, North America, Australia, Asia and South America. For more information, visit www.facebook.com/tictacusa or www.tictacusa.com.